SEVASTOPOL, April 10. /TASS/. 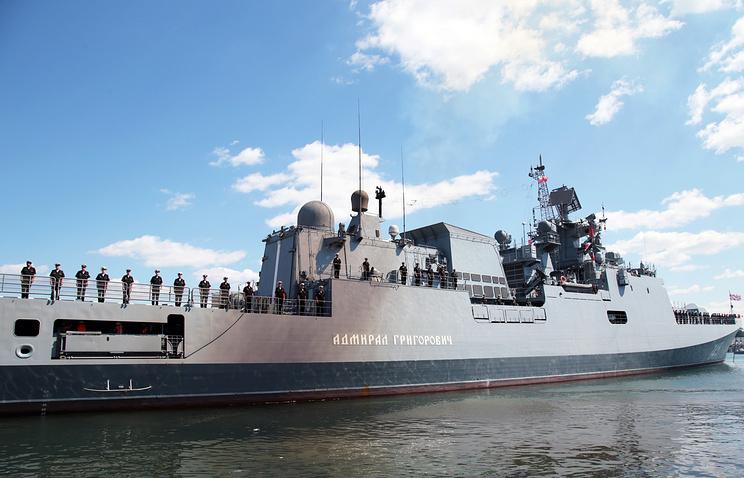 The Russian frigate Admiral Grigorovich of the Black Sea Fleet participated in military exercises in the Black Sea. The ship’s crew practiced evading a simulated enemy, as well as hitting targets set up to imitate enemy watercraft firing from the Kalibr missile systems, the Black Sea Fleet press service told reporters on Wednesday. "Over the course of the drill, the Admiral Grigorovich frigate performed urgent battle and mission preparations and evaded a simulated enemy to enter the dispersal area. Then, while sailing, the Kalibr missile system combat units performed detection and acquisition of waterborne targets imitating a squadron of simulated enemy ships and, subsequently, fired cruise missiles at them," the statement reads. The frigate is reported to have successfully performed electronic launches. The drills were held as part of the inspection of the skills and expertise gained over the winter. 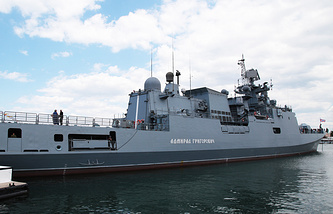 The Russian frigate Admiral Grigorovich is designated to fight submarines and warships at sea and to repel air attacks both independently and within formations. They are armed with A-190 100mm artillery guns, anti-aircraft missiles, including Kalibr and Shtil and torpedo armaments. The warship can carry a Ka-27 helicopter or its modifications. The displacement is 3,620 tonnes, while its length is 124.8 meters. Full speed is 30 knots and the cruising range is 4,850 miles.